This ring set comes with all 3 adjustable metal rings. 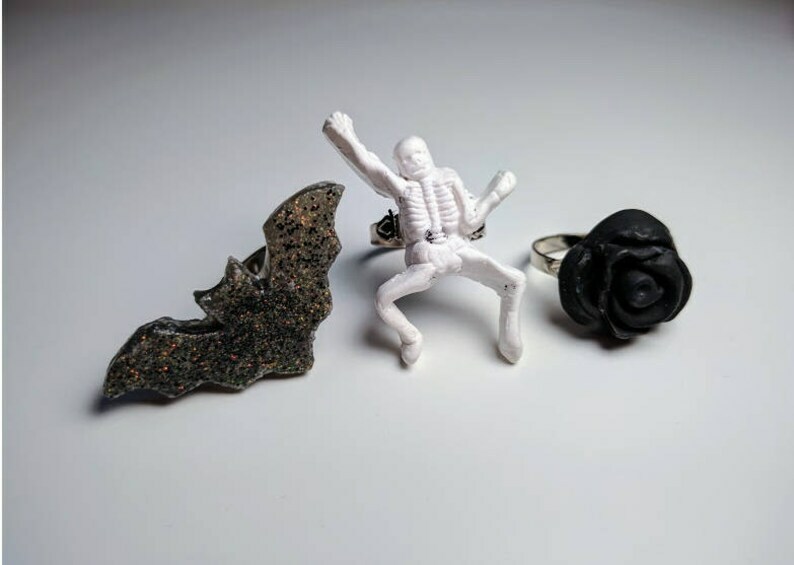 The bat is made with resin and the skeleton and flower is made with polymer clay. One set only! Ready to ship!